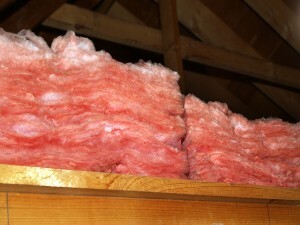 If your home could benefit from better insulation, contractors from 31-W Insulation can help. Since 1972, we have been the home improvement company of choice for homeowners in Johnson City, Tennessee, and throughout the southeastern United States. We can help you with any of your insulation needs as well, offering top-brand products and exceptional installation services. When you start experiencing the signs of poor insulation, such as a drafty attic, uneven temperatures throughout the house, and an HVAC system that’s running non-stop to heat or cool your home, it’s time to contact 31-W Insulation. You’ll start enjoying the benefits of your new insulation as soon as our contractors finish installing it. A properly insulated home contributes to energy savings by reducing strain on the HVAC system while helping to maintain a comfortable and consistent internal temperature. But beyond that, insulation also helps improve air quality and reduce noise pollution from outside. At 31-W, we’re committed to providing you with the services you need to start enjoying a properly insulated home. To learn more about what our insulation contractors can do for your Johnson City, TN, home, or to schedule a no-obligation home assessment to get started, contact 31-W Insulation today.